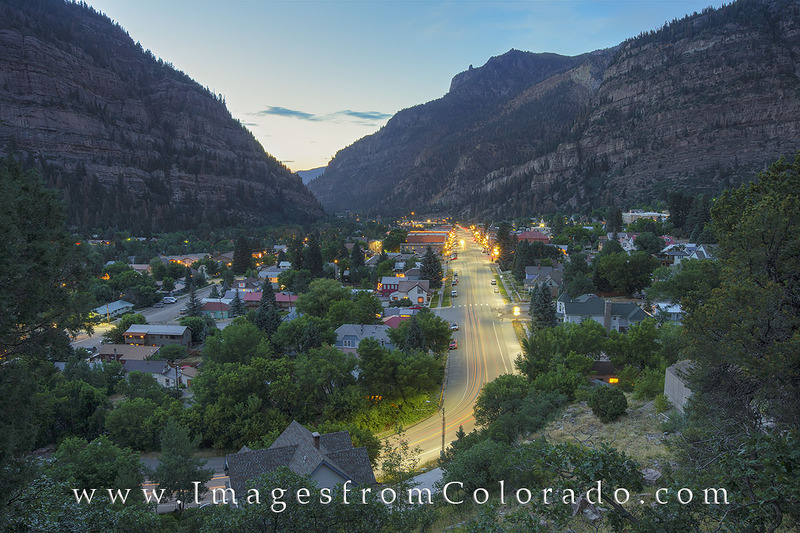 As you make your way north into the town of Ouray, this is the view you’ll enjoy just before the last few switchbacks that lead into the town. I had returned from photographing wildflowers in Yankee Boy Basin on this evening, but had to pause here to take in the nice view of this quaint Colorado town. Photo © copyright by Rob Greebon.